This great award is available in 3 sizes, 120mm, 140mm and 155mm high. Antique gold cricket trophy with silver detail. 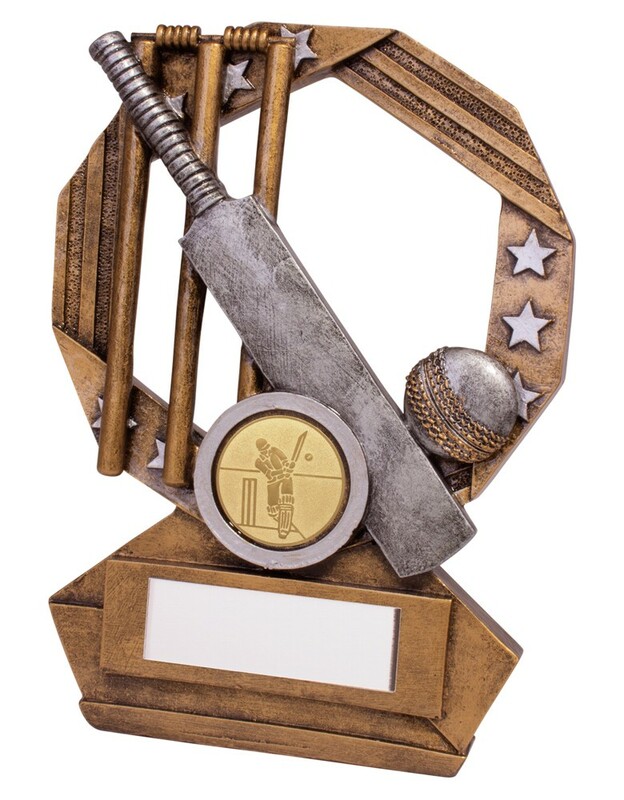 A very popular cricket award.